Classic view of Goethe at the Loreley rock near St Goar taken on 21st July, 2012. Photo by kind courtesy of Phil Barnes. 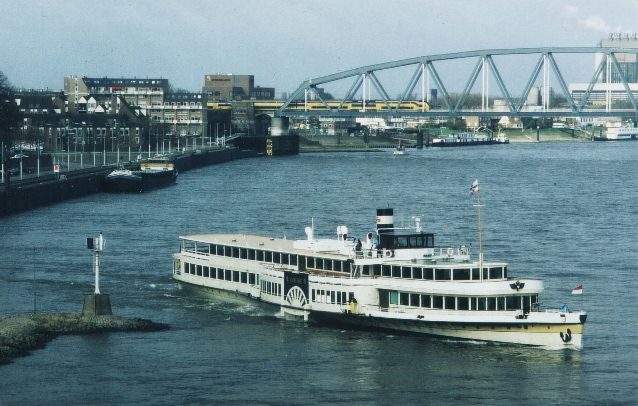 Completely rebuilt at the Ruthof shipyard in Mainz in 1951 and 1952 with only the engines and the central part of the hull retained, resuming duties in 1953. Repainted in "nostalgia" livery with painted paddle-box vents in 1977 in an attempt to market her paddler status. Withdrawn after the 1989 season with mechanical problems, but as the last paddler, repair was anticipated. After some uncertainty she was completely re-fitted but given a more traditional outward appearance. 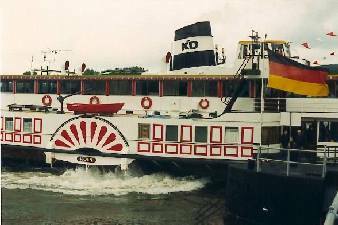 Last in the long line of River Rhein paddlers operated by the "KD", mechanical problems almost lead to her demise in 1989, but a major refurbishment allowed a return to service in 1996 for this ship originally built in 1913. Originally an unremarkable member of a large fleet, she was extensively improved in 1925 and again in 1952 after wartime wrecking. 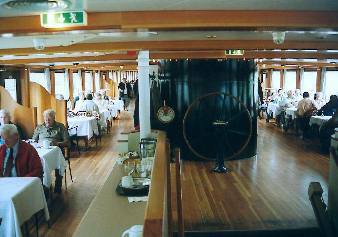 Her rebuild prior to return to service in 1996 has made her a thoroughly modern vessel, although close attention has been given to her appearance, both internal and outward, to create a traditional feel. 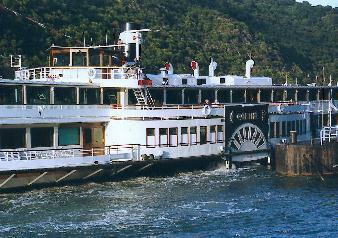 After the 2008 season her steam engines were removed and replaced by twin diesel-hydraulic units. 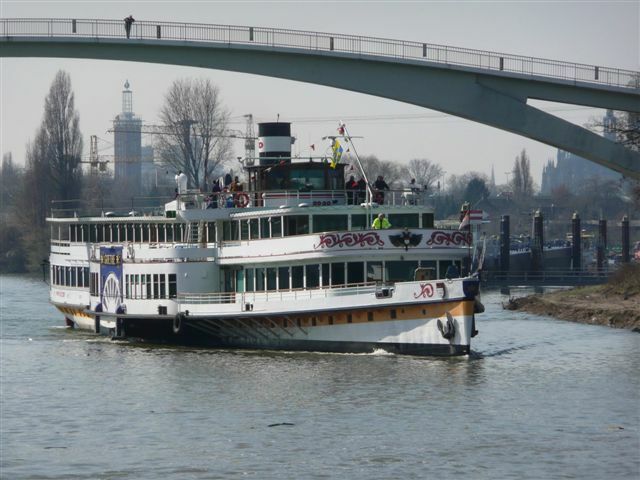 Above : Goethe on March 31st 2009, leaving Cologne for the first time after being converted to diesel power. 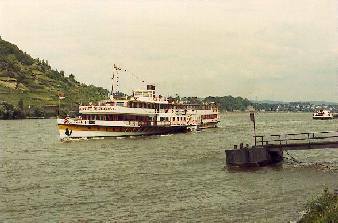 Above : Goethe at Boppard on August 8th 2027 by Gordon Stewart. In their Annual Report and Accounts for 2009, the KD company noted with respect to Goethe : The conversion to diesel-hydraulic operation was completed successfully and on time in April 2009. This has meant that there is now no risk of goethe having to be taken completely out of service due to technical reasons. 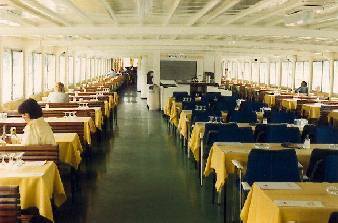 The appearance of the ship remains unaltered, with paddle wheels which can be seen from outside and inside the ship. 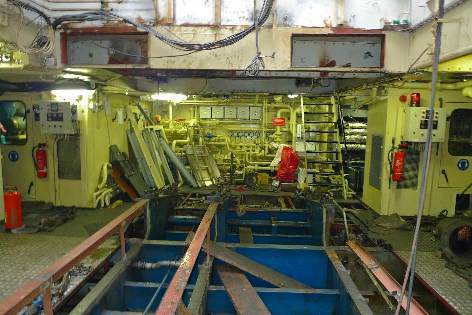 The advantages of the conversion, as well as the ship now having a second independent motor, include lower fuel consumption, better manoevrability and a more environmentally friendly operation, all with a lower crew complement. 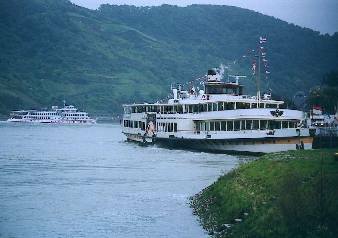 The ship has been on the daily "Nostalgia Route" between Koblenz and Ruedesheim since the beginning of the season. 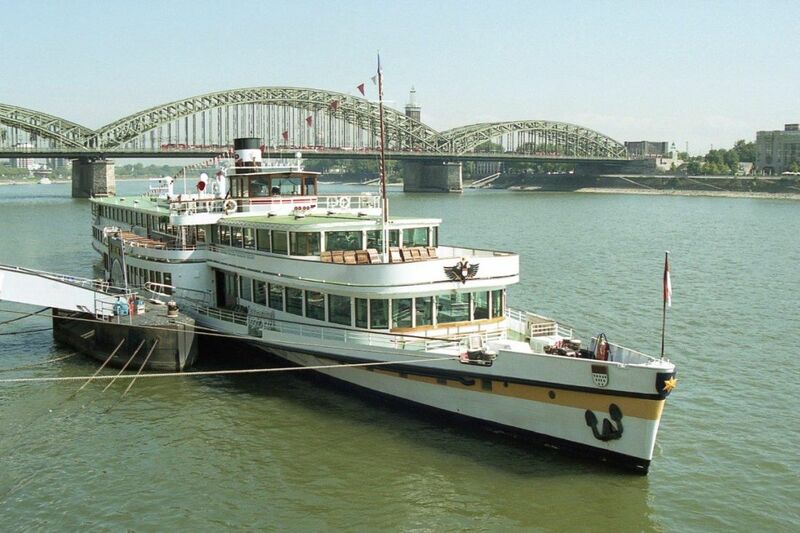 It was decided in cooperation with the cultural protection department of the city of Cologne and the Rhine Heritage authorities that the old engines would be put under protection and loaned to the Cologne City Museum.